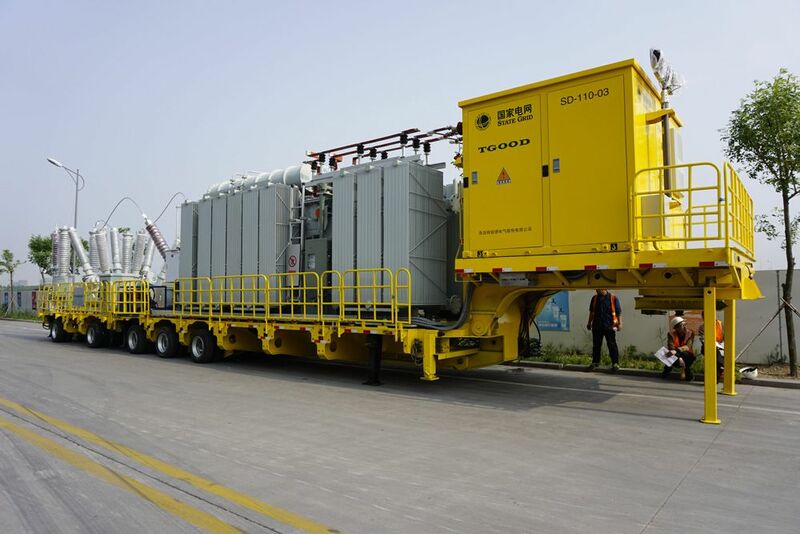 For temporary power solutions, emergency substation replacements and industry applications where a movable solution is required, TGOOD trailer substations deliver an instant power solution. Our trailers are designed to meet US DOT and other international transportation standards where required. 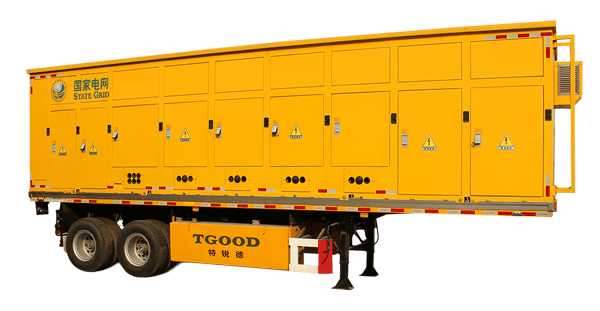 TGOOD has a decade of experience manufacturing prefabricated trailer substation solutions for emergency, temporary power supply and load transfer application. Custom configurable trailer substation designs. Best-in-class lead times measured in weeks, not months. Exceptional weatherproofing with strong condensation and corrosion resistance. High voltage gas insulated switchgear up to 252kV available. Air insulated switchgear up to 40.5kV available. Standard designs comply with best international building codes; compliance with specific regional codes available. Trailers designed to US DOT and other international standards on request. Factory certification of trailer for highway use available for many countries. Field ready solutions pre-commissioned in factory for deployment in as little as 24 hours. Overhead incoming line bushings for fast cable connection; quick connect high voltage couplers also available. Compact gas insulated switchgear modules greatly reduce substation footprint. Manufactured and tested in an ISO 9001 factory environment. Ideal for temporary power solutions, mining, oil & gas, and emergency substation replacements. Quickly moved and reconfigured as project needs change, daily or weekly as required. Modular designs and collapsible skid mounts enable rapid reconfiguration. Shock absorbing design allows for transport over rough terrain. Custom configurable trailer type substation designs.